In December 2013, Forbes published an article titled, “What Every CEO Needs to Know About Data Analytics,” with the primary assertion that “analytics absent” executives were missing out on opportunities of epic proportions. Fast forward to 2015, and executives without analytics backgrounds are nearly as rare as unicorns. Today’s successful business executives have climbed aboard the data analytics bandwagon and closely follow a broad range of analytics and metrics that cover every aspect of their business, from marketing to financials. If you’re considering a career in business administration, here are insights into analytics the executives of the 21st century should know. It’s not enough to focus on broad numbers such as net income; the savvy business leader looks three or four steps beyond the obvious to metrics that contribute to broader categories. Revenue and fixed costs such as sales and marketing activities, for example, directly influence net income. Business executives need more from their analytics team than just insight into what has already happened, known as descriptive analytics. They need a combination of analytic insights that integrate diagnostic, predictive and prescriptive analytics, or insight into why events happened, what might happen in the future and what to do about a particular situation or event in business operations. A good analytics mix is essential in decision-making, support and automation, which are needed to improve outcomes in a fast-paced and highly competitive business environment. Reliable data, whether gleaned internally from a customer relationship management tool or purchased from a third-party data vendor, is only as good as the data analysts who analyze it. Business leaders and CEOs need to invest in the talent necessary to turn raw data into actionable intelligence. An analytics team needs to know how to ask the right questions, as well as interpret the data and incorporate it into a cohesive fact-based story that resonates with all stakeholders across the organization. 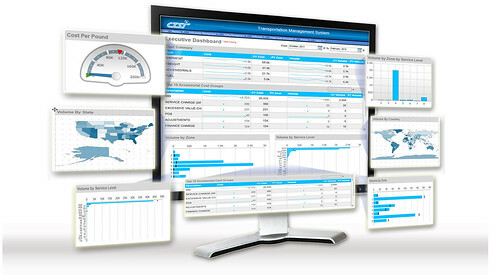 The executive dashboard gives C-suite officers real-time insight into how the company is performing. 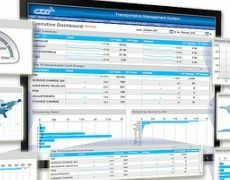 The best analytics dashboard provides visibility into important operational metrics, ways to measure descriptive analytics against the established business plan, and insight into how decisions and course corrections will affect the company’s bottom line. In short, the analytics dashboard should incorporate financial performance analysis, marketing metrics and key performance indicators. Business leaders who aspire to the C-suite need a thorough understanding of the increasingly prominent role analytics plays in shaping business decisions. Knowing how to use analytics to your advantage is key to business success.